Okay, okay – technically, we made this recipe with shrimp and not prawns, but who can resist a little alliteration? 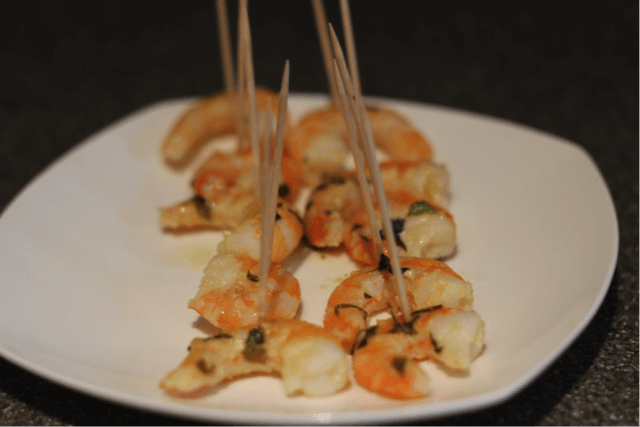 This savory appetizer is a takeoff on shrimp scampi, with the superb addition of fresh basil for additional flavor. 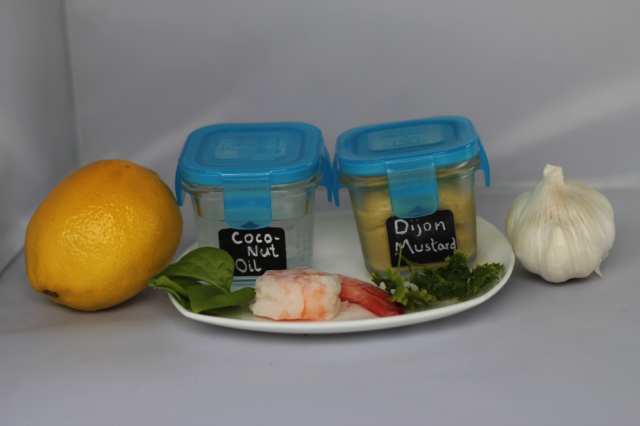 Instead of the typical scampi sauce (lemon, garlic, and butter), this recipe sacrifices fat but not flavor by using coconut oil, along with fresh-squeezed lemon juice, and minced garlic cloves. Shrimp is high in protein, and with this healthy variant of scampi sauce, you won’t think twice about popping two (or three or four or five) in your mouth at a time! 1. Preheat the oven to 425°. 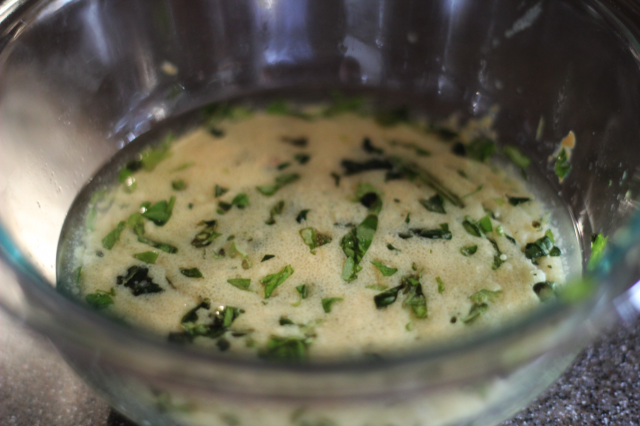 Combine all ingredients except shrimp in a small saucepan and heat, stirring, until the coconut oil liquefies. (It was hot enough outside that my coconut oil was already liquid, so I skipped this step and just mixed in a bowl). 2. 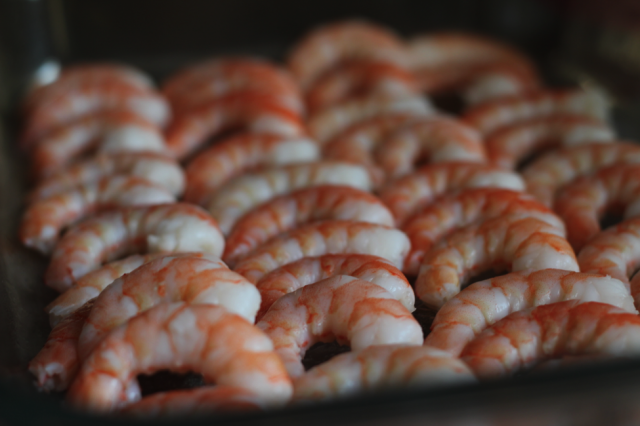 Place a layer of shrimp on a cookie sheet or in a casserole dish. Be careful not to overlap. 3. 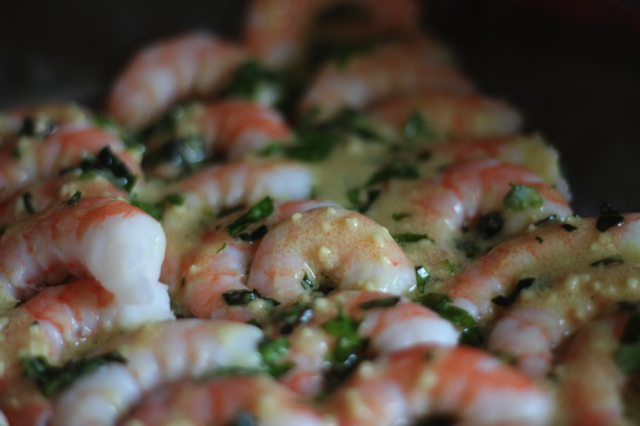 Pour the sauce over the shrimp and warm in the preheated oven for five minutes. If you’re using raw shrimp, cook them for ten or twelve minutes, or until they turn pink.